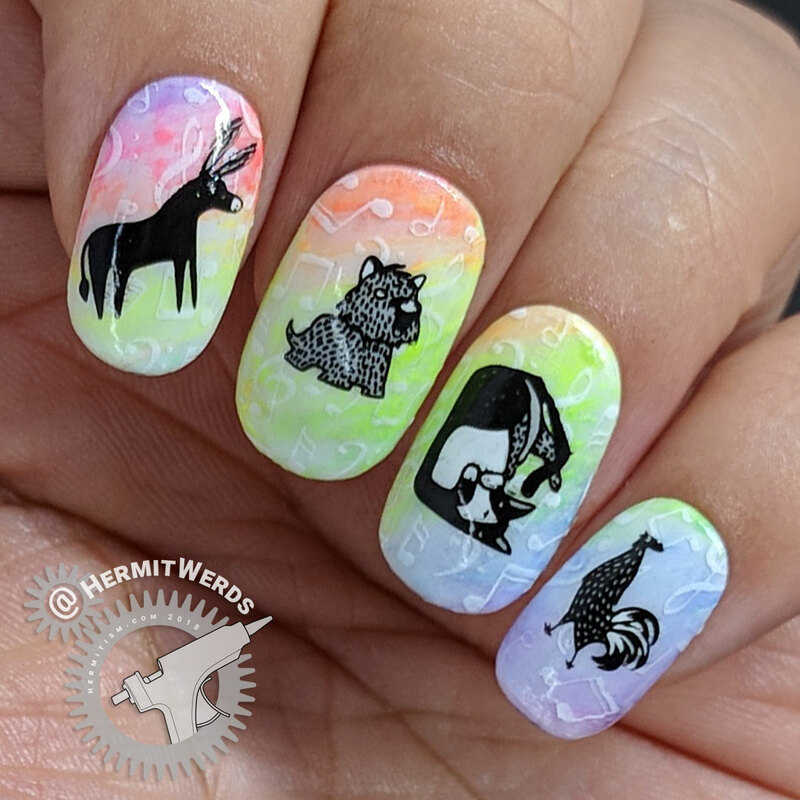 Today’s mani is inspired by the classic German fairy tale “Bremen Town Musicians” (retrieved and recorded by the Brothers Grimm). The basic premise is that an elderly donkey, cat, dog, and rooster left their home(s) to go to the city and earn a living as musicians. They drive off a band of robbers holing up in a cottage by making a lot of noise and settle in for the night. The robbers sneak back in the middle of the night and the animals attack them, driving them off a second time. 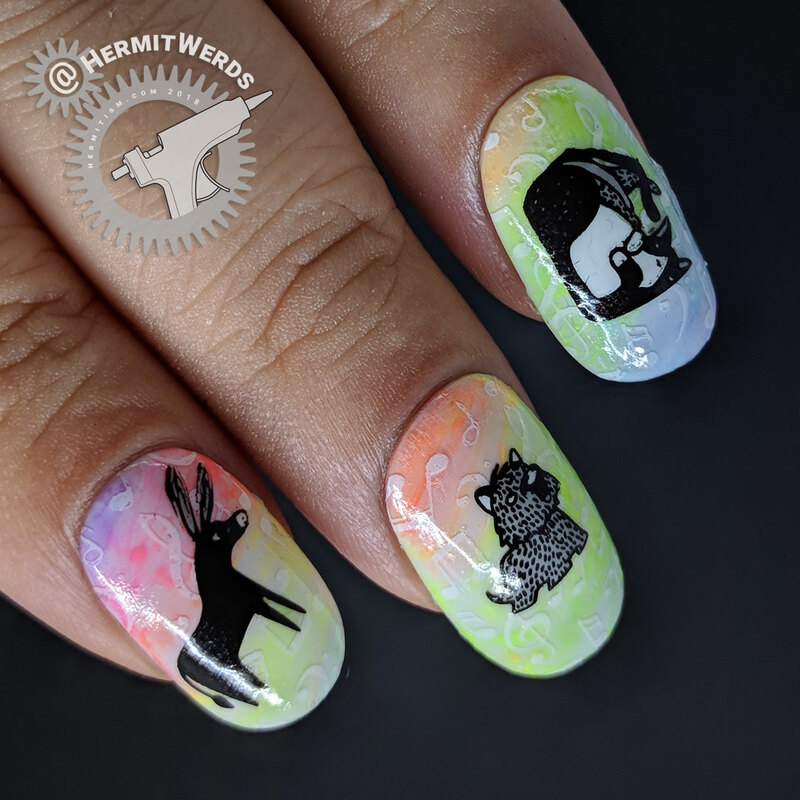 All of the robbers have a different interpretation of what actually attacked them based on the injuries they suffered (much like “The Blind Men and the Elephant”, which I have also referenced in my Kirin nail art). I have been working on reducing what I own lately so this also became a chance for me to try out an ancient Loew Cornell pallete of neon watercolors that I have been hauling around for (probably) a decade. It was so old that the paint had actually sweated hard little beads of something on top. I scrubbed around with water and was still able to lift up plenty of pigment. I think for now I will hang on to the palette since my regular paint palette doesn’t have neons. Meanwhile, I have one other watercolor try or die palette that I will either try out in the next month or chuck because I didn’t get to it. Eek! 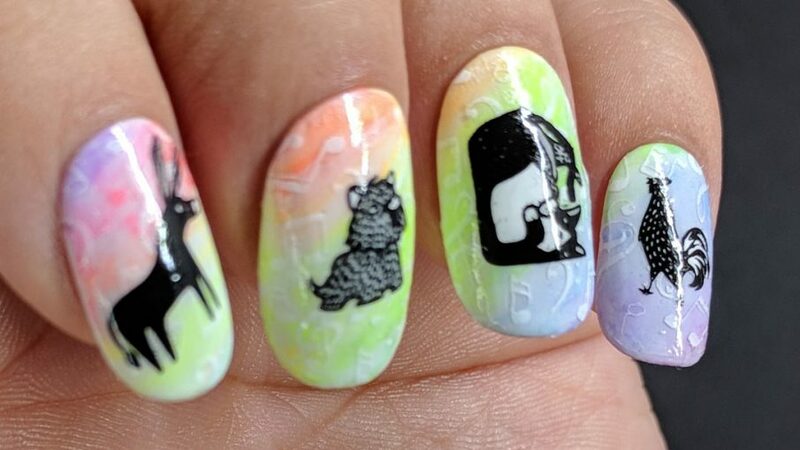 This mani brought to you by #NailCraziesUnite’s Music w/Rainbow Colors and #ClaireStelle8Challenge’s Fairy Tale. 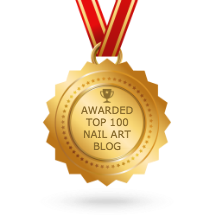 So here’s a cool thing for bloggers that I keep meaning to post about: Feedspot, an online RSS reader, has a Top Nail Art Blogs list. They emailed me last month to tell me that my submission had finally been cleared and asked me to promote it a little in return. I emailed them back pointing out how many dead links and inactive blogs were on the list and they cleaned it up! So now is a very good time to submit your blog if it’s not listed yet. DISCLAIMER: I do not use Feedspot since they limit you to only one blog before you have to pay ($2.99/month) and I really don’t like their interface or how it tries to keep you on their site instead of going to the blog. I don’t think it’s unfair of Anuj to charge, but I much prefer Feedly (who also has a “premium” service).